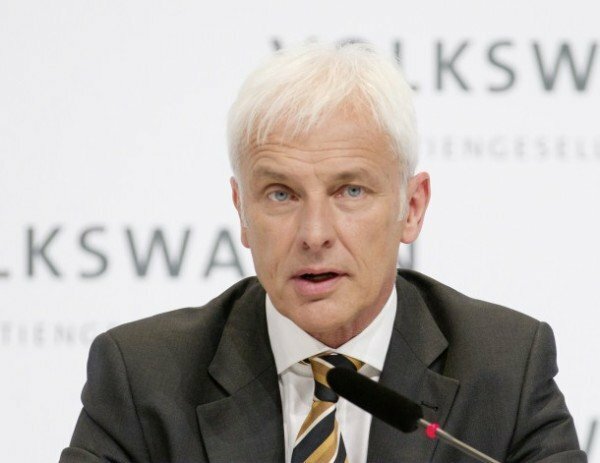 Home Tags Posts tagged with "Martin Winterkorn"
German businessman Matthias Muller has been named as Volkswagen’s new CEO in the wake of the scandal of rigged emissions tests in diesel cars. Matthias Muller succeeds Martin Winterkorn who resigned on September 23. VW admitted cheating emissions tests in the US. 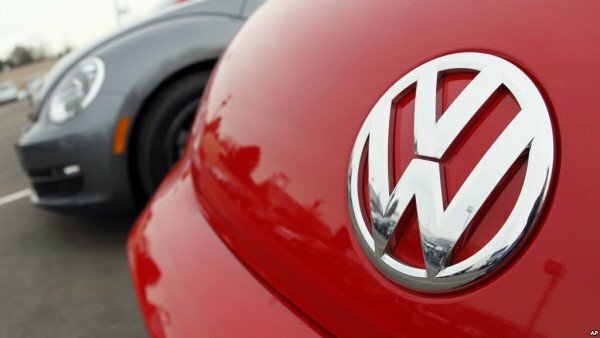 Some VW cars being sold in the US had devices in diesel engines that could detect when they were being tested, changing the performance accordingly to improve results. He also announced sweeping changes to the way the world’s largest carmaker was run, including handing greater autonomy to regional divisions. The US’s Environmental Protection Agency’s (EPA) findings of the scandal cover 482,000 cars in the US only, including the VW-manufactured Audi A3, and the VW brands Jetta, Beetle, Golf and Passat. The automaker has admitted that about 11 million cars worldwide are fitted with the so-called “defeat device” – 2.8 million cars in Germany – and further costly recalls and refits are possible. Transport authorities in several countries – including the UK and Germany – have announced investigations in to the scandal. VW CEO Martin Winterkorn has resigned after the revelation that the world’s largest automaker manipulated US diesel car emissions tests. Martin Winterkorn said he was “shocked” by recent events and that Volkswagen needed a “fresh start”. He added that he was “not not aware of any wrong doing on my part” but was acting in the interest of the company. VW has already said that it is setting aside €6.5 billion to cover the costs of the scandal. The world’s biggest carmaker admitted last week that it deceived US regulators in exhaust emissions tests by installing a device to give more positive results. VW said later that it affected 11 million vehicles worldwide. “I am clearing the way for a fresh start with my resignation,” Martin Winterkorn said in his statement. He said he was “stunned” at the scale of the misconduct in the group but that he was confident that VW would overcome this “grave crisis”. “The process of clarification and transparency must continue. This is the only way to win back trust,” he continued. In a separate statement, VW’s supervisory board said they would announce Martin Winterkorn’s successor at a board meeting on September 25, adding that it was “expecting further personnel consequences in the next days” as a result of its own investigations. “The internal group investigations are continuing at a high tempo,” it said. The board also said that it would voluntarily submit a complaint to the state prosecutors. “In the view of the Executive Committee criminal proceedings may be relevant due to the irregularities,” its statement said. German public prosecutors have already said they are considering an investigation, with US authorities also said to be planning criminal investigations. In addition, VW faces fines of up to $18 billion by the regulator, the Environmental Protection Agency (EPA). VW’s shares have tumbled some 30% since the beginning of the week in response to the scandal. 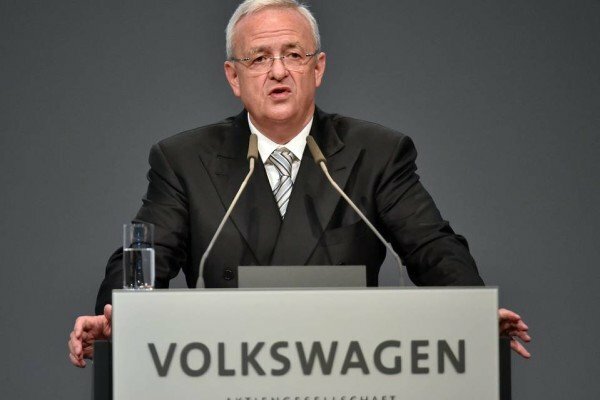 Volkswagen will “support” the German transport ministry’s investigation into the automaker’s emissions scandal, CEO Martin Winterkorn has said. VW shares plunged more than 18% on September 21 after the Environmental Protection Agency (EPA) found that some of its cars could manipulate official emissions tests. The EPA found that software in several diesel cars could deceive regulators. VW was ordered to recall half a million cars in the US on September 18. The White House in Washington also reportedly said it was “quite concerned” about VW’s conduct. Martin Winterkorn apologized after the scandal emerged. “I personally am deeply sorry that we have broken the trust of our customers and the public,” he said. He has launched an investigation into the software that allowed VW cars to emit less during tests than they would while driving normally. 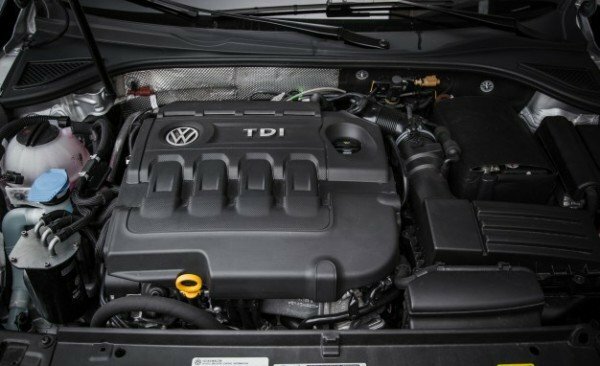 The EPA found the “defeat device” in diesel cars including the Audi A3 and the VW Jetta, Beetle, Golf and Passat models. VW has stopped selling the relevant diesel models in the US, where diesel cars account for about a quarter of sales. The EPA said that the fine for each vehicle that did not comply with federal clean air rules would be up to $37,500. With 482,000 cars sold since 2008 involved in the allegations, it means the fines could reach $18 billion. Volkswagen has ordered an external investigation, although it has not revealed who will be conducting it. “We do not and will not tolerate violations of any kind of our internal rules or of the law,” Martin Winterkorn said. The scandal comes five months after former VW chairman Ferdinand Piech left the company following disagreements with Martin Winterkorn. “This disaster is beyond all expectations,” Ferdinand Dudenhoeffer, head of the Centre of Automotive Research at the University of Duisburg-Essen, said. 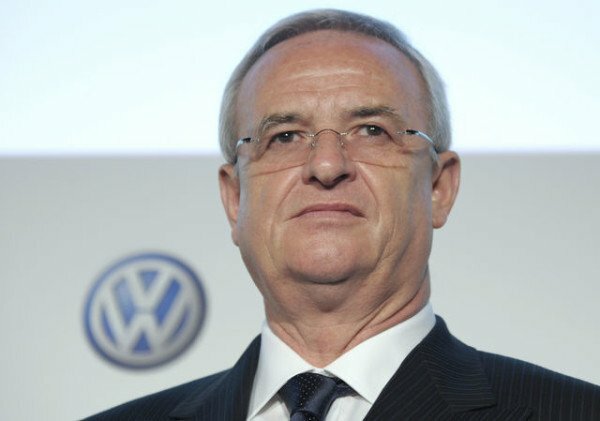 The VW board is due to meet on September 25 to decide whether to renew Martin Winterkorn’s contract until 2018, and some analysts speculated he may be on his way out. VW had been promoting its diesel cars in the US as being better for the environment. Class action law firm Hagens Berman is launching a suit against VW on behalf of people who bought the relevant cars. “While Volkswagen tells consumers that its diesel cars meet California emissions standards, vehicle owners are duped into paying for vehicles that do not meet this standard and unknowingly pay more for quality they never receive,” Hagens Berman alleged. Volkswagen has apologized after US regulators found some of its cars disguised pollution levels. He has launched an investigation into the device that allowed VW cars to emit less during tests than they would while driving normally. The German automaker’s shares were down 19% in Frankfurt by lunchtime. Volkswagen was ordered to recall half a million cars on September 18. The Environmental Protection Agency (EPA) found the “defeat device” in diesel cars including the Audi A3, VW Jetta, Beetle, Golf and Passat models. That would be a considerable amount, even for the company that recently overtook Toyota to be the world’s top-selling vehicle maker in the first six months of the year. Its stock market value is about €66 billion ($75 billion). The company has stopped selling the relevant diesel models in the US, where diesel cars account for about a quarter of sales. It has ordered an external investigation, although it has not revealed who will be conducting it. The German government said on September 21 it would rely on the US authorities to assess whether VW had done anything wrong in Europe. “We expect the car companies to pass on reliable information so that the Federal Motor Transport Authority, the responsible authority in this case, can investigate whether similar manipulations took place with the emissions systems in Germany and Europe,” a spokesman for the German environment ministry said. The scandal comes five months after former chairman Ferdinand Piech left Volkswagen following disagreements with Martin Winterkorn. 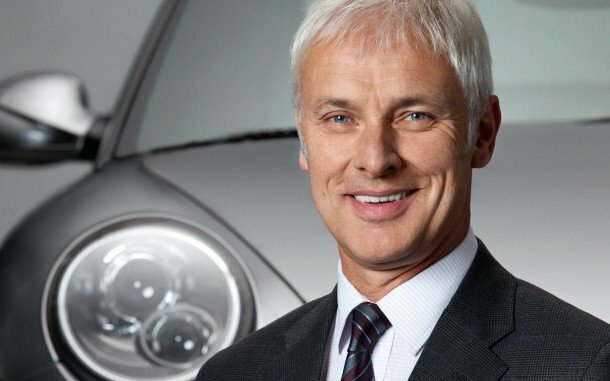 The VW board is due to meet on September 25 to decide whether to renew the chief executive’s contract until 2018. “This disaster is beyond all expectations,” Ferdinand Dudenhoeffer, head of the Center of Automotive Research at the University of Duisburg-Essen, said. The US law firm Hagens Berman is launching a class-action suit against VW on behalf of people who bought the relevant cars.